Building and maintaining a strong brand requires constant monitoring and nurturing, and on occasion, the need to rebrand. Regardless of how successful a brand strategy may have been in the past, businesses are dynamic in nature, and brand messaging may lose its relevance over time, especially if the company has evolved into new markets or demographic reach. Many different factors can influence the need for a rebrand — such as a new leader who brings new vision, a merger or acquisition, changes among the competitive landscape or changing customer behaviors. Do re-imagine your business beyond the logo. A true rebrand is about re-establishing the promise you make to your customers and employees, and how you will deliver on that value proposition every day. Don’t think that a simple facelift (logo and message) will be enough to change internal or external perceptions and advance your business goals. A logo change in and of itself isn’t a true rebrand, it’s an aesthetic update, and only one small part of what a rebranding initiative should be. A logo change rarely has any impact by itself. Do gain support from the C-suite. Secure direct and ongoing involvement of the CEO and executive leadership before engaging in a rebranding initiative. The most successful corporate rebrands are led by the CEO or President, acting as visionary. 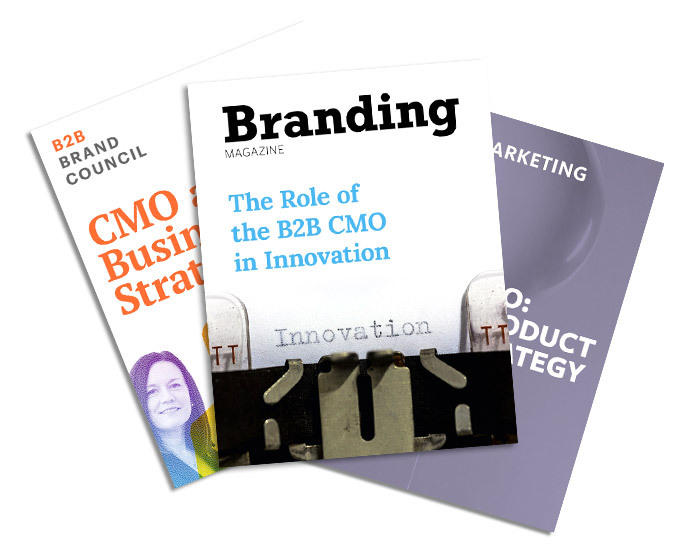 Don’t silo the rebrand as a “marketing function.” While the marketing team will be a critical player and manager of implementation, and will likely partner directly with executive management, the best way to short-sell a rebranding project is to allow a glass ceiling to exist between marketing and executive leadership. When this happens, you can almost always assume that the rebranding exercise will not result in the strategic transformation that is desired. Do get internal as well as external insights. Talk to your customers, industry partners and prospects to identify the insights that will drive your brand strategy. Ask about perceived strengths and weaknesses of your organization and discover their greatest needs, pain points and obstacles. Use these insights to develop a compelling value proposition, positioning strategy and messaging that resonates with your marketplace. Don’t forget to engage and talk to internal constituents, to understand culture and the driving purpose and inspirations that motivate your employees. Beliefs and behaviors among employees and customers are usually deeply ingrained and hard to change. However, a successful rebranding takes root first internally, before extending to the outside world. Use insights gleaned from employees and executives to craft a compelling mission, vision and values that serve as the foundational strategy that will drive future behaviors and beliefs, that will serve as external proof points of the brand strategy. Do keep it real. Develop a brand that is reflective of your company’s purpose and what truly makes you unique. A true, and successful rebranding strategy is not “created” — rather it is uncovered to reveal the truth about what the business or brand has become, and come to stand for in the marketplace. Don’t build a brand that is not authentic to your company, even if it is what the market wants. Your customers will see right through it. Do bring in all key stakeholders. Be inclusive and collaborate with all departments within your organization. Unless key players within the organization “own” it, it’s going to be difficult for your employees to adopt and adapt to the new strategy. You need to be as inclusive in the development process as possible so that many key internal stakeholders have their thumbprint on the effort. Don’t build your strategy in a silo and expect everyone to understand and support it after you share it with them. A Forbes.com article, titled When CEOs Talk Strategy, 70% of the Company Doesn’t Get It, said that even in high performing companies with clearly articulated public strategies, only 29% of employees could correctly identify their company’s core strategy when faced with six choices. It’s not surprising since most companies don’t put the effort into gaining true alignment, which most often comes with co-creation and engagement in the process. Do leverage the opportunity to drive broader change. Use the rebranding effort as a “tip of the spear initiative” that drives broader change throughout the organization. Rebranding should be leveraged as a catalyst for instilling, or reflecting broader change taking place throughout an organization — and communicating and reinforcing that change to both internal and external stakeholders. Don’t limit your opportunity for significant change in internal and external behaviors and perceptions by positioning your rebranding initiative as a marketing project. Do over communicate. Constantly communicate the new brand strategy, and share it in ways that allow others to experience it directly. By tirelessly and patiently socializing your new brand strategy through regular, and ongoing communications, training and engagement activities you can be sure that the message will get through. Don’t present it once or twice (or even four times) through a PowerPoint deck and expect your strategy to stick. Do keep it aligned. Ensure that your corporate policies, operations and actions are directly aligned with and support the new brand strategy. By aligning your market promise with the actions of your company and your ability to deliver, the marketplace will recognize your commitment to the strategy and you will establish strong brand equity in the minds of the marketplace. Don’t go to market with a brand that your company cannot, or will not back up. The BP “Beyond Petroleum” rebranding campaign is a classic example. They rebranded as a more environmentally responsible company, but didn’t change any real aspect of their company. The result was significant backlash from the media and consumers around the world. Do make sure your people can deliver. Properly launch and train your employees, partners and distributors on the brand before launching externally. Don’t launch externally without ensuring your employees, and all customer-facing roles understanding how to deliver on the brand promise through their actions, behaviors and words. A brand initiative can live or die on the ability of employees and partners to deliver on the promise. If your internal stakeholders aren’t properly educated and equipped, the brand could suffer. Do find the right partner. Hire a partner that understands that brand strategy is business strategy, and has demonstrable experience marrying the two. While developing your brand, you also need to design the business to be aligned, and be able to deliver on the promise of that brand. Be sure to work with a partner that understands the importance of this, and can help you not only change your brand identity, but also transform your culture, policies, procedures, product offerings, new employee screening methods, and every other aspect of the business based on the new brand strategy. Don’t hire a creative, or design agency that creates visually appealing logos or clever taglines, but doesn’t have deep business or brand strategy experience. Rebranding is an overarching strategy that permeates virtually every aspect of a business — it’s critical that you do it right. Your approach to rebranding must be proactive and intentional, rather than reacting after the fact to new conditions such as mergers or new markets. A rebranding initiative coincides with, rather than reacts to, those circumstances, and must be part of the planning process from the beginning.